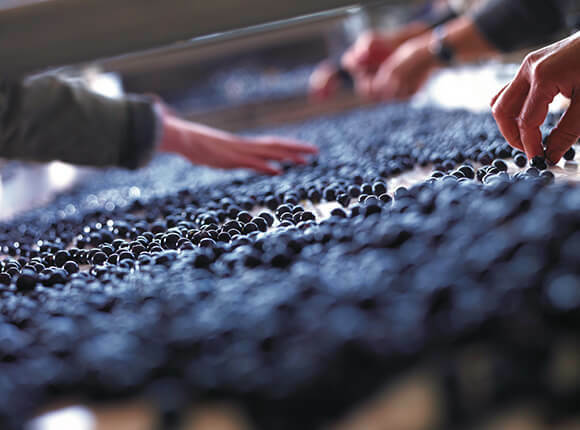 The bunches and grapes are minutely screened on a sorting table and selected either to make Château Moulinet or our second wine. This equipment is vital for meticulous wine making. With14 temperature-controlled vats, minutely selected, plot-specific wines can be made, thus enhancing the blends that will be crafted at the end of the process. In this way, Château Moulinet preserves tradition and innovation. Here is where Château Moulinet wines lie, here is where blending takes on its full meaning. Barrels are chosen with great care in order to achieve that subtle combination of wood and good balance that will make these wines harmonious, true to the style of the Château. Here is where Château Moulinet's unique style is fashioned.